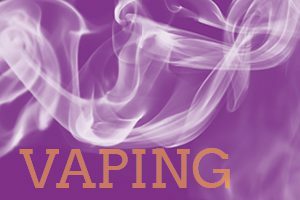 In 2011, only 1.5 percent of high school students (220,000) vaped, according to HealthDay. Earlier this month, the Food and Drug Administration (FDA) announced new restrictions on sales of flavored e-cigarettes to teens. The FDA will allow stores to continue to sell flavored e-cigarettes, but only from closed-off areas that are not accessible to minors. While we don’t want kids vaping, using “gee-whiz!” statistics does not help the problem. If you read the actual report you will see that only 15 kids in the study use ecigs on a regular basis (3 x month), which would mean 1.5% of the group studied. Hardly an epidemic.